She was the third wife of American boxer Muhammad Ali, and the mother of actress and professional boxer Laila Ali. Ali and Porche began a relationship in 1974 while he was still married to his second wife, Khalilah 'Belinda' Ali. Porche was one of the four poster girls who had promoted the Rumble in the Jungle fight in Zaire versus George Foreman; which led to erroneous reports that she was a professional model before meeting Ali. 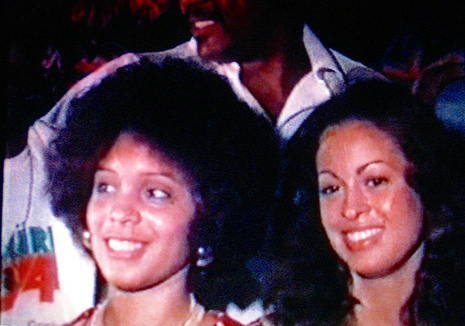 Porche and Ali were married in the summer of 1977. At the time they were married, they had a 10-month-old daughter, Hana, and Porche was pregnant with their second child. They had just these two children before divorcing in December 1986. Their oldest daughter, Hana Ali, is an author who today lives near her father in Michigan. Their youngest daughter, Laila Ali, is an undefeated professional championship boxer. Prior to meeting Ali, she spelled her last name Porche. As her fame grew, and she began to have contact with reporters and other media, she began to tell them that her name was pronounced "like the sports car". This, of course, led to people spelling her name — Porsche — like the sports car. Her name appears on documents using both spellings. Reportedly, she favors the style and sophistication of the Porsche spelling, though her family name was originally Porche', the version still used by many family members in Louisiana. Porche was fluent in French as a child and her mother called her Ve'ronique. Veronica Porsche was one of the four poster girls who had promoted the Rumble in the Jungle fight in Zaire versus George Foreman. At the time they were married, Muhammad and Veronica had one daughter, Hana, who was about 10 months, and Veronica was about three months pregnant with their second child, Laila.